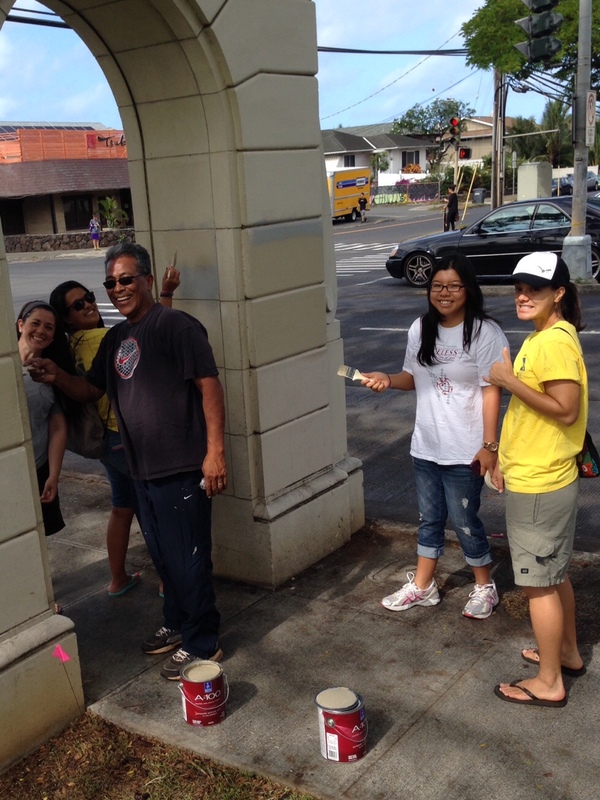 We don't see a lot of graffiti here in Hawaii, and yesterday's service project is the reason why. Several members of the university branch met early in the morning for a light breakfast, divided into groups, were assigned different bus routes, and set off to paint over graffiti at nearby bus stops. Most of our group's stops were within walking distance, so we painted just about anything that had graffiti on it as we walked from stop to stop. Sterling and I felt more like moral support (we didn't have appropriate painting clothes), but it was a nice way to spend time with great people and at the same time do a little service for the community.